Contrary to common perception that suicide attempts would stand decriminalised with section 115 stating that a suicide survivor would be presumed to be in “severe stress” and shall not be punished for attempting suicide, the proposed law permits police to pursue cases in which it is able to rebut the presumption. Going by the sort of cases under section 309 of the IPC, it will not be easy to rebut such presumption except in cases of activists like Irom Sharmila who have faced a number of cases under the provision for her fasting protest. The draft, initially introduced in the Rajya Sabha, sought to shield only those suicide survivors who were mentally ill. But with “mental illness” now replaced by “severe stress”, anyone who could be proved to be fit and not mentally ill could be punished for attempting suicide. At the same time, this amendment moved by health minister JP Nadda brings within the ambit of immunity even those who are not mentally ill but suffer from severe stress. But unlike mental illness (which could be rebutted through medical and other evidences), it would be very difficult to refute the presumption that a survivor was under severe stress while attempting suicide. The task, however, would be easy in cases where the provision is unjustly invoked against protesters on indefinite fast. With the scope of immunity from prosecution not being limited to just the mentally ill, the government clearly attempts to indirectly decriminalise attempt to suicide. The only way to achieve this, however, is to altogether delete section 309 from the IPC. The bill has also sought to introduce path-breaking changes with regard to health care, protection and rights of the mentally ill. Undoubtedly, mental illness is one of the causes of suicides and the mentally ill need protection against prosecution. But the manner in which it is sought may be wrong. The proposed law is not clear on the stage at which the presumption would come into play. Since presumption is rebuttable, there is no complete bar on booking a mentally ill person for the offence. It leaves scope for harassment and selective application of the penal provision. And the presumption may also not come to the rescue of activists sitting on indefinite fast. Though an activist resorts to indefinite fast to draw the attention of the government towards a cause rather than to die, their prosecution under section 309 is not uncommon. 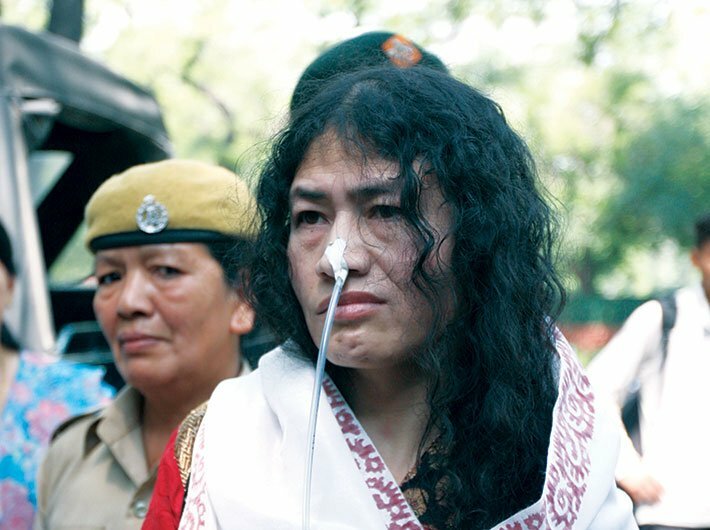 Not just Manipuri activist Irom Sharmila, others too have been booked similarly under the IPC. In 2013, the provision was invoked against an 81-year-old Clean Ganga campaigner. Swami Gyan Swaroop Sanand, a former IIT professor also known by the name of GD Aggarwal, was sent to jail by a Haridwar court for sitting on a fast in protest against government apathy towards the need for rejuvenating the river Ganga. Though the intent cannot be questioned, the bill should have focused on rights of the mentally ill rather than virtually attempting to decriminalise suicide attempts; more so, when a proposal to decriminalise attempt to suicide is already in the offing. The proposal mooted by the centre in this regard has already been backed by most states. There is a near consensus on the fact that section 309 is unjust and could not be allowed to remain in the statute book. Carving out an exception to limit its use under such circumstances is unwarranted. Indisputably, suicide is one of the concerns when it comes to welfare of the mentally ill. The bill has rightly dealt with this aspect by enjoining upon the government to take steps to reduce incidence of suicides and attempts to suicide. Section 29(2) of the bill makes the government duty-bound to “plan, design and implement public health programmes to reduce suicides and attempted suicides in the country”. The amendment in section 115(1) to replace the presumption of “mental illness” for suicide survivors with “severe stress” also mandated a change in clause (2) of the section. Section 115(2) enjoins upon the government to “provide care, treatment and rehabilitation to a person, having severe stress”. The initial draft, which provided for a presumption of mental illness, was clearly aimed at shielding only the mentally ill from prosecution. The change, which enlarged the ambit of protection, was mooted following reservations over the presumption that all suicide survivors suffered from mental illness. But the objection could have been dealt with without changing the intent or meaning of the provision. The intent was to grant immunity just to the mentally ill. The prosecution was free to proceed against those who were not mentally ill after proving so. And the government would have done well to redraft the bill which was passed with 134 amendments.